The Benq PD2700Q is a 1440p ISP monitor that is target at the home office or possibly work place. 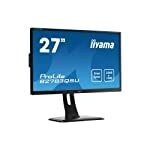 It’s not packed with features aimed at keeping the gamers happy but it is an efficient reliable model that concentrates on providing a good quality image to those that are more interested in a screen for getting things done. 1440p, or QHD, resolution is becoming a standard at 27″, at this screen size the extra pixels do pay off any you get a sharper image compared to lowly old 1080p HD. The extra pixels will take a hit on your graphics card if you plan on gaming but this isn’t an issue for day to day application use. The styling is fairly ordinary I’m afraid to say, it’s a typical sturdy grey border and can’t really compete on looks with the modern frameless designs. But at the same time it won’t look out of place in a home office, it’s simple and compact. The stand is well constructed and does its job as it is supposed to do, offering a good range of movements, tilt, swivel, rotate and height are all allowed. Movement is smooth and the monitor feels steady once positioned. Standard 100 x 100 mounting is available for those, like me, that prefer mounting to a monitor arm. No old style ports are included, you get two modern DisplayPorts (one mini) and an HDMI connector. You also get a 3.5mm headphone socket and USB 2.0. The Benq PD2700Q isn’t built as a top end tool for professionals, but rather it aims to get close at a reasonable price, and this it does well. Professional testers report back the out of the box performance is sufficient for owners to get on with the job without additional calibration tasks. Contrast is right at the top end of IPS performance. The 60hz limit means that this isn’t going to excite the pro gamer crowd, an the input lag is on the higher end. That doesn’t mean you can’t break out into a game of Doom from time to time, but this isn’t a dedicated gaming screen. We give the Benq PD2700Q a 4.5 out of 5 rating. Want to know what existing owners of the monitor think? You can read real user reviews here. 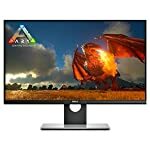 Should I buy the Benq PD2700Q? The high colour accuracy, and contrast make this an attractive proposition. 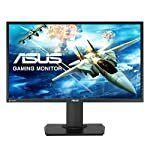 Add in the typically excellent BenQ build quality and you have a very decent monitor for your home study. If you are having some doubts about this purchase then why not read some real owner reviews and see what other buyers think.